1. Buy a soaker hose. If you’re in a state where foundations can become problematic if not watered regularly and/or you’re under drought restrictions, this will keep you sane—and potentially keep you from needing to have your foundation jack hammered and hoisted back into place. 2. Change your air filters. Some manufacturers say you should change them out monthly. Although we don’t know ANYONE who actually does this, it’s worth noting that they do actually work more efficiently when changed out regularly, and that can save you money – even though you’re spending more on the filters. 3. Change your refrigerator filter. You’ve probably been a bit lax about this too, right? Presumably, you’ll be drinking more water when it’s hot outside, so change the filter now and improve the taste of your water before you really need it. 5. Plant something pretty. 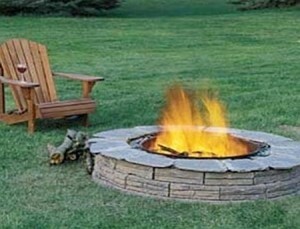 Wait until it’s scorching and you run the risk of floppy flowers. Get info about what to plant when for your climate here. 6. Ditch your ruddy throws and blankets. It’s time to bring in something light and soft. 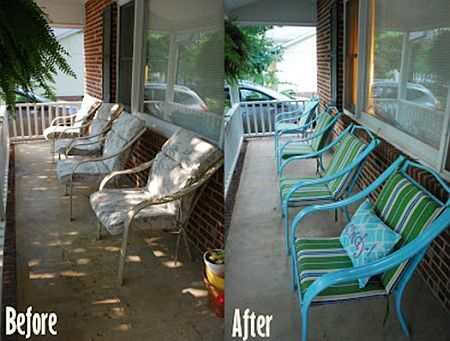 Even if you’re not one who does a big seasonal swap with your furnishings, this easy change out will make your home feel fresh and summery. 7. 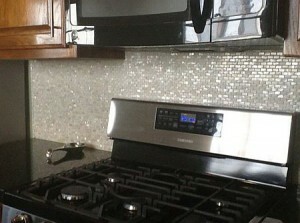 Change out your backsplash. If it’s dark, drab, or dated, a new backsplash can give your kitchen a lift without knocking anything major down or adding anything super expensive. Choose something reflective to bounce light around the room if you have a dark space. 8. Clean your carpets. Were you aware that “E. coli, salmonella, staphylococcus, and other bacteria” can live in your carpet? Gross, right? “Summer favorites like okra, squash and tomatoes require long, hot days to grow,” said P. Allen Smith Garden Home. 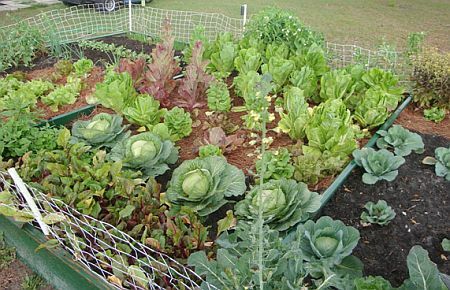 Get a complete how-to for planting your first garden here. 10. Clean your windows. They’re probably gross, and they’re also blocking the light. 11. Slap on some solar screens. If you’re in a high-heat area and you want to block the sun, solar screens may be the answer. “Solar Screens are the most effective window treatments that you can apply to your home for lowering energy bills by stopping the heat transfer through your windows and doors while still maintaining your view,” said Lone Star Solar Screens. 12. Take on a project and make it a family affair. Summer fun doesn’t have to be relegated to vacations. Want to lay new tile in the kitchen? Take the family to the local big box store for a workshop and then get started. It might just be fun. And even if you have to overcome some occasional (or more than occasional) whining along the way, you’ll always have the pride of knowing you did it yourselves once you’re done.